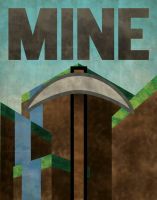 The new Tekkit server has launched! How can I join the server? How do I join a Tekkit server? Once you have installed the launcher, then come and join us online. It wont work, what should I do? Thanks to everyone who helped us test the Tekkit server over the last few weeks. 27526:*:Philosopher's Stone:Bypasses anti-grief to change blocks in protected areas without permission. 179:0:Teleport tether banned to stop lag. It can be unbanned if the server is running smoothly. 27574:*:Zero ring, changes are not logged. 27556:*:Catalytic Lens:Bypasses anti-grief to change blocks in protected areas without permission. 27527:*:Destruction Catalyst:Bypasses anti-grief to change blocks in protected areas without permission. 27530:*:Evertide Amulet:Bypasses anti-grief to place water in protected areas without permission. 27537:*:Harvest Goddess Band:Bypasses anti-grief to grow and harvest in protected areas without permission. 27532:*:Black Hole Band:Bypasses anti-grief to remove water in protected areas without permission. 27533:*:Ring of Ignition:Bypasses anti-grief to injure claimed animals and set fires in protected areas without permission. May injure players even when PvP is off. 27593:*:Void Ring:Key ingredient in an item duplication exploit. 27583:*:Mercurial Eye:Bypasses anti-grief to change blocks in protected areas without permission. 27584:*:Ring of Arcana:Bypasses anti-grief to change blocks in protected areas without permission. 27538:*:Watch of Flowing Time:Can be used to sabotage another player's automated processes by altering speed of components. 27531:*:Volcanite Amulet:Bypasses anti-grief to place lava in protected areas without permission. 27545:*:Dark Matter Hoe:Bypasses anti-grief to change blocks in protected areas without permission. 27566:*:Red Matter Hoe:Bypasses anti-grief to change blocks in protected areas without permission. 26524:*:Cannon:Bypasses anti-grief to break blocks in protected areas without permission. 126:10:Nova Catalyst:Bypasses anti-grief to break blocks in protected areas without permission. 126:11:Nova Cataclysm:Bypasses anti-grief to break blocks in protected areas without permission. 237:*:Nuke is a cheap destructive item that can be used for mass grief. 4095:*:Dimensional Anchor:Can easily crash the server by consuming all hard drive allocation. 7312:*:Tank Cart:Key ingredient in an item duplication exploit. 150:12:Igniter:Bypasses anti-grief to set fire in protected areas without permission. 214:0:World Anchor:Consumes extra server memory, which may slow or crash the server. 7303:*:Anchor Cart:Consumes extra server memory, which may slow or crash the server. 213:11:Feed Station:Unattended animal breeding can result in animal overload, severely slowing the server. 7310:*:Tunnel Bore:The Tunnel Bore bypasses anti-grief to break blocks in protected areas without permission. 7308:*:Iron Bore Head:The Tunnel Bore bypasses anti-grief to break blocks in protected areas without permission. 7272:*:Steel Bore Head:The Tunnel Bore bypasses anti-grief to break blocks in protected areas without permission. 7314:*:Diamond Bore Head:The Tunnel Bore bypasses anti-grief to break blocks in protected areas without permission. 127:*:Dark Matter Pedestal:Fills the server log very quickly when activated, potentially running the server out of storage allocation and causing a crash. 30208:*:Mining Laser:May catch other players on fire even when PvP is off. - We will not ban for blind mistakes where you could not see a creation from the surface. - We will ban for stupid mistakes if you do not fix them. Check the surface area fully before mining. - If you fix what you broke or come to an agreement with the other player it is not a problem. Rejoice and be happy for Pablo is here. I will not ban for blind mistakes where you could not see any part of a creation on the surface. I will ban for stupid mistakes if they are not fixed, for example: If a player had a fair marker on the surface and you did not check the area before you started mining then there could be a problem. However if you fix what you broke or come to an agreement with the other player then it is not a problem. usb_hub wrote: I'd like to thank quog on becoming a mod. I know this is late, but better late than never. This is now my signature. The server has finally been launched.